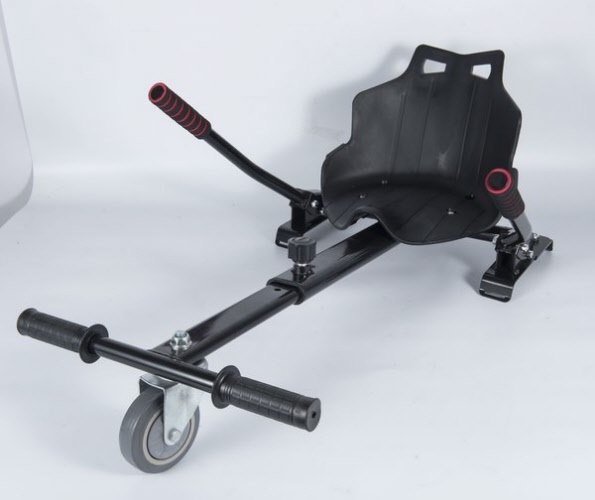 The best hoverboard kart built. 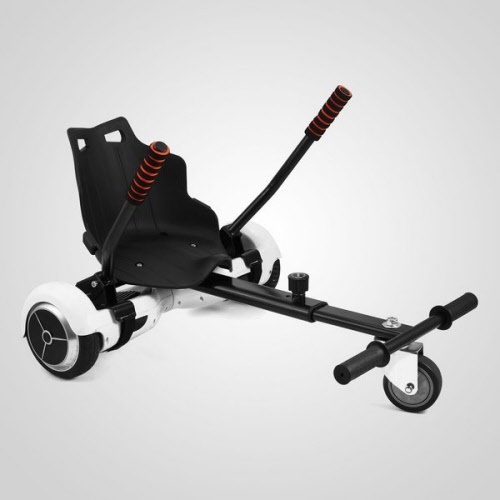 These newly redesigned hoverboard karts are the strongest and best hoverboard karts we have seen. 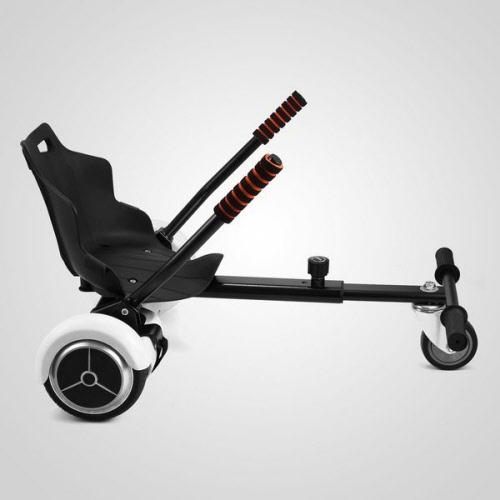 Rugged steel construction, molded plastic seat and a larger wheel make this kart a sure winner.